In the 1990’s Laurance Rockefeller became interested in paranormal phenomena, especially with UFOs and Extraterrestrial visitation. He funded scientific investigations and organized and funded a briefing document to record the best evidence. 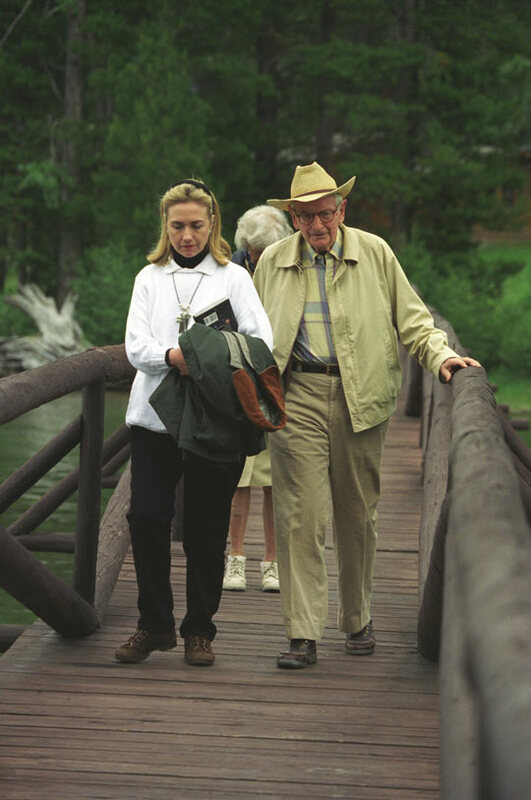 Rockefeller also conferred with the Clintons regarding the release of files by President Bill Clinton. For a closer view of the book that Hillary Clinton is holding, please click this link. A very interesting read! This entry was posted on January 20, 2010 at 6:51 pm and is filed under Alien Technology, Disclosure, Extraterrestrial, UFO with tags Alien, Extraterrestrial, extraterrestrial technology, Hillary Clinton, Laurance Rockefeller, UFO. You can follow any responses to this entry through the RSS 2.0 feed. You can leave a response, or trackback from your own site.